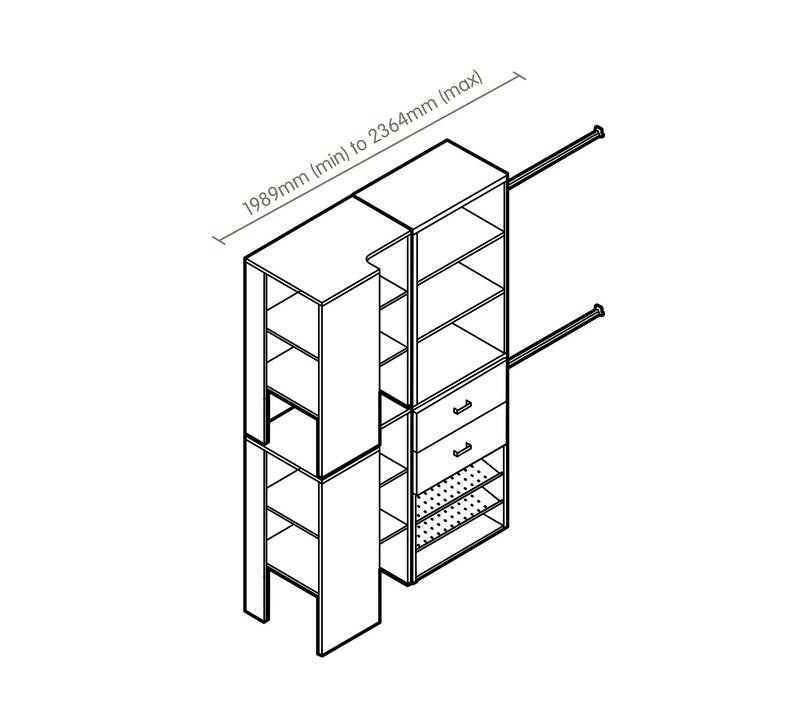 The London Wardrobe Corner System comes with a corner and full-height tower with 2 drawers and 2 steel shelves. Plenty of shelving and large drawers provide space for larger accessories or everyday items. 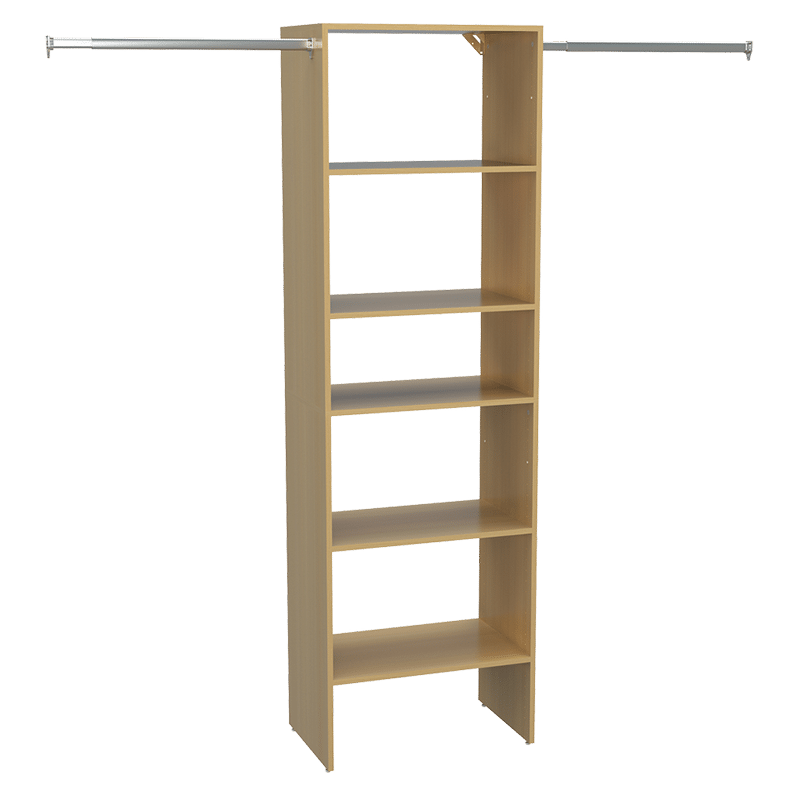 Includes 2 hanging rods and metal shoe shelves provide sturdy storage unit for your footwear. 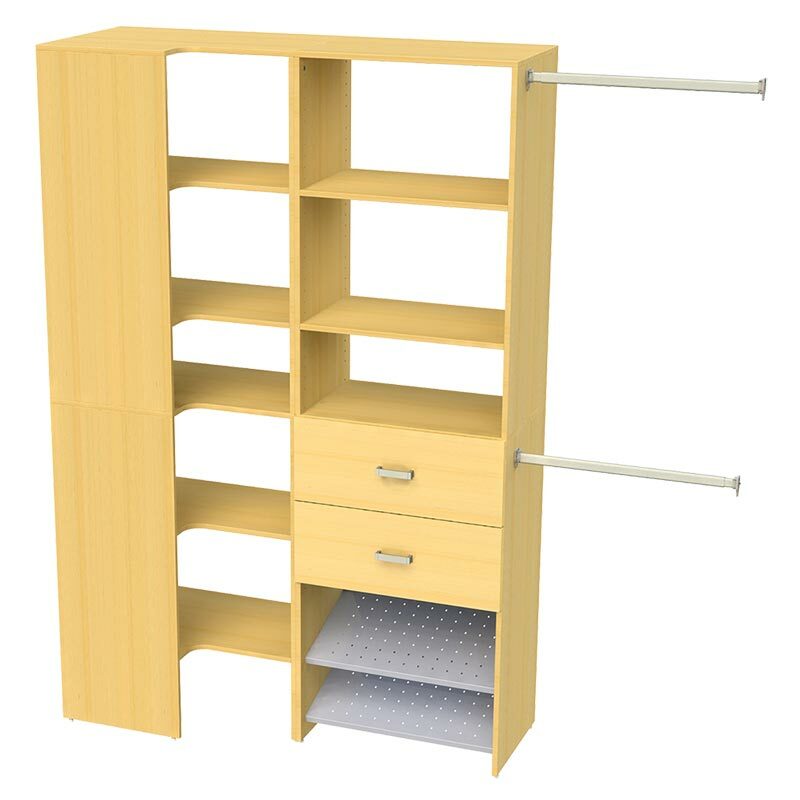 This adjustable double or triple door wardrobe storage solution makes use of corner space and provides a variety of options. Wide shelving and large drawers provide space for larger accessories or everyday items. The hanging rods can adjust to suit the size of your space. 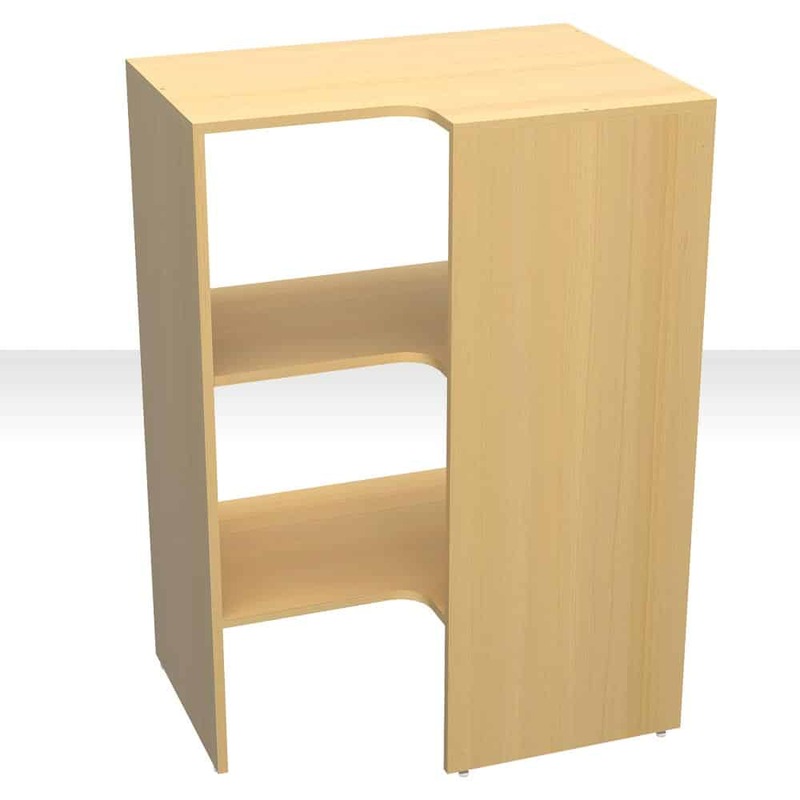 Specifically designed metal shoe shelves conveniently provide an attractive storage unit for footwear. An elegant catch all for storing anything from socks to scarves and belts. 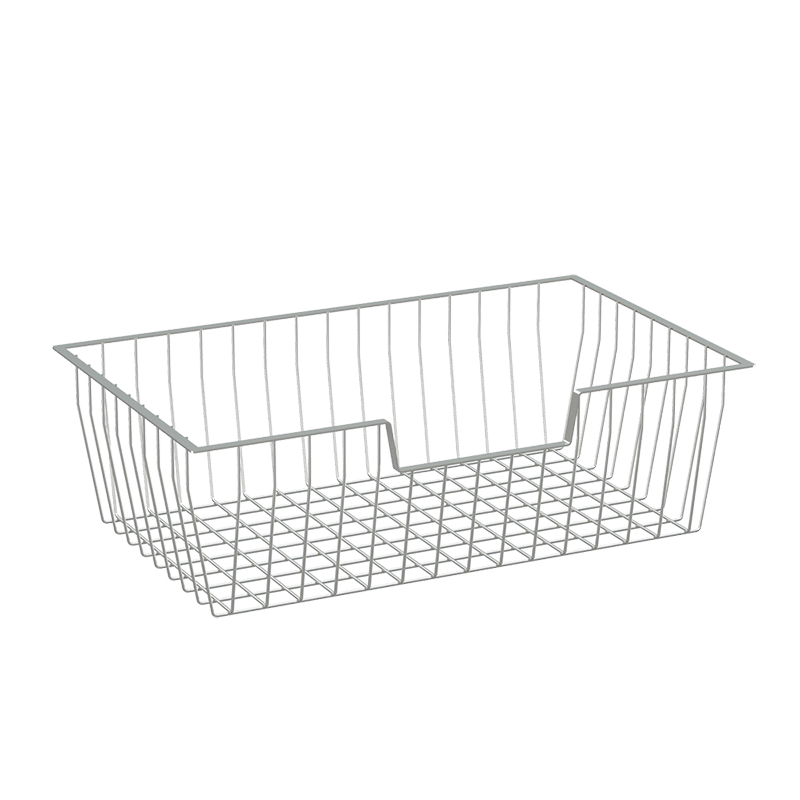 This basket will work with all cabinets and towers wherever you want or need it. 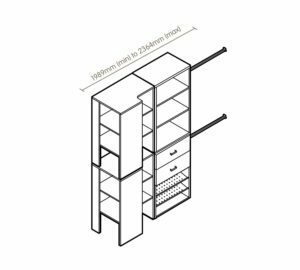 Towers form the structure of a wardrobe and can be mixed and matched with a variety of other base accessories. 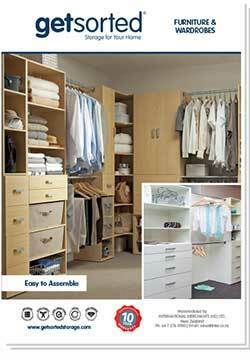 A great option for integrating into wardrobes or walk in wardrobes. A tall connecting unit to link towers and provide effective hanging space for clothes, and provides the ability to use the innovative adjustable hanging shelf for another layer of storage and space. The BT6 Kit can also be transformed through the use of accessories.